Mr. Ma Xinmin (马新明), Deputy Director-General of the Department of Treaty and Law of Ministry of Foreign Affairs of P.R.C., introduced the important role of the Chinese judges in ensuring the compliance and clarification of the rules of international law and promoting international judicial cooperation and the codification of international law. In China, if the judgment debtor fails to fulfill their obligations, while also undertakes certain dishonest conducts, the court will include the them into the publicly available List of Dishonest Judgment Debtors. Judge Gao Xiaoli of China’s Supreme People’s Court talks about recognition and enforcement of foreign arbitral awards in China. China’s Supreme People’s Court demonstrates its readiness, for the first time, in the Nanning Statement to loosen the criteria for recognition and enforcement of foreign judgments. Judge Jiang Xin, who rendered the first ruling to recognize and enforce a Singaporean court judgment in China, talks about what lessons China could draw from an Israeli case to promote the principle of reciprocity. Judge Zhao Qianxi, who rendered the first ruling to recognize and enforce a US court judgment in China, talks about his process of reflection in hearing the case. Judge Shen Hongyu of China’s Supreme People’s Court, who is participating in the policy making, talks about recognition and enforcement of foreign civil and commercial judgments in China. “China Judgments Online” went online, and the judgment documents made by all the Chinese courts should be published on this website. As of the end of February 2018, the judgments published on the website had reached 42.783 million copies. The Ministry of Justice of China recently released a series of data on Chinese lawyers as of the end of 2017, including the number of lawyers, the number of lawsuits in which they acted as agents, and the number of clients they provided services for. In 2017, China’s Supreme People’s Court (SPC) issued the “Outline of the Judicial Protection of Intellectual Property in China (2016-2020)”, indicating what Chinese courts would do to enhance the protection of intellectual property rights in the next five years. In April 2018, Shanghai High People’s Court issued the white paper on “Juridical Protection for IP Rights of Shanghai Courts in 2017” (2017年上海法院知识产权审判白皮书). Do you wonder what a Chinese court is like? How is a trial proceeding in a Chinese court? Now you are able to watch the live broadcast of the court trial online. 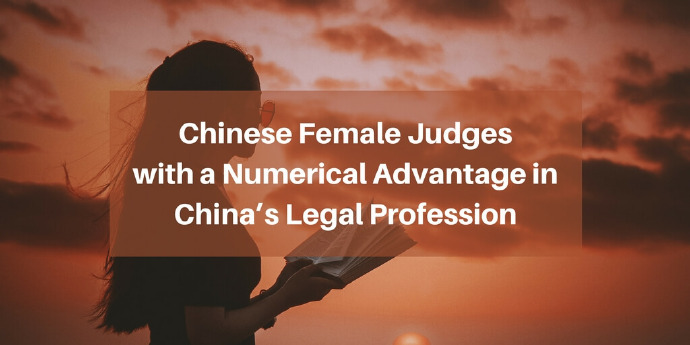 In modern China, there is an obvious increase in the number of female law students, lawyers and judges, which has surpassed the number of male professionals. Such an increase brings a unique feminization to China’s law profession. 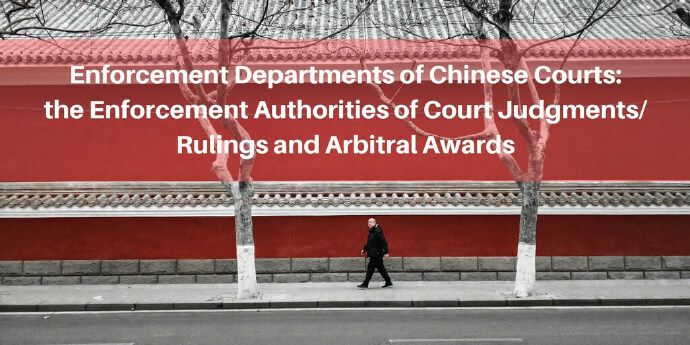 Enforcement Departments of Chinese Courts: the Enforcement Authorities of Court Judgments/ Rulings and Arbitral Awards. In China, Courts are in charge of enforcing effective legal instruments, such as judgments/rulings in civil cases and arbitral awards. Within the Court, an enforcement department is responsible for organizing and handling enforcement work.